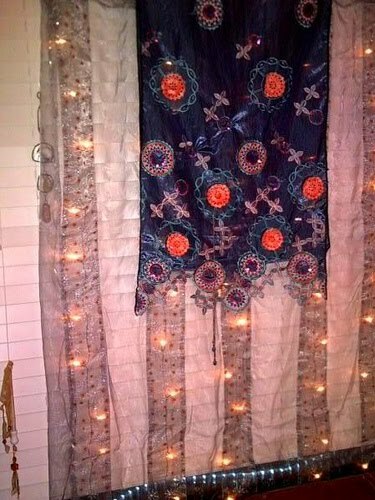 Curtains & Rugs; WHY are they ALL so UGLY? We'll get back to the little shack, I promise, but right now we need to talk about curtains and rugs, because really, nothing enrages me more. Are they kidding? This is why I started finding beautiful material that would hang well, (because I can't sew) and hanging my skirts and nightgowns on the windows. I once spent 11 months searching the internet for a livingroom rug. It was $1,100.00! The first time it came, it was the wrong one. But I didn't care. It was perfect, and it lasted 7 years. I don't have a very good picture of how beautiful it was, but this will do for now. I won't lie to you, and you already know that rugs are not cheap. There is a way to get anything cheap... except for a rug. But your floors and walls are the most important part of your home! If you have dirty purple walls and thick orange shag carpet, for example, there isn't anything you can ever do to your house to make it look normal! Let's look at some of the gems I found online (with no trouble at all) I need to know RIGHT NOW who buys this crap! The scary part is, someone must! I HATE BURGUNDY. I used to break the burgundy crayon, (and the "burnt sienna") the minute I'd get my new box of crayons. Okay, well I feel physically sick when I see these. Think how romantic those winter nights could be if only you could snuggle in to your wolf pack comforter set! You'd be the envy of all your friends But wait! 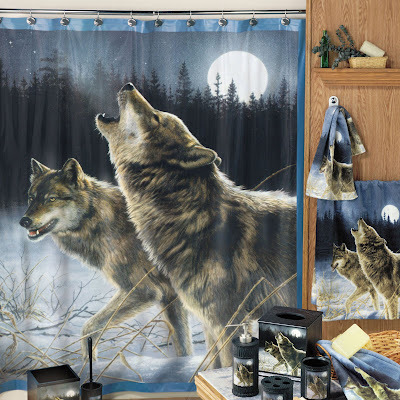 If that's not enough wolves for you, how about these soothing howling wolves while you're taking a shower? And, finally, if STAMPEDING HORSES are what you crave, they actually make comforter sets (Don't even get me started on "sets"...UGH) with the delightful stampeding horses draperies! I know I said you won't need money to do any of this stuff. 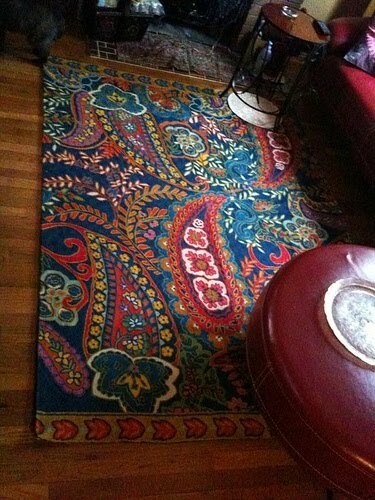 But with rugs, I haven't figured out how to do that cheap. The only alternative would be if you were an artist and had beat-up wood floors and painted a cool design on your floor. 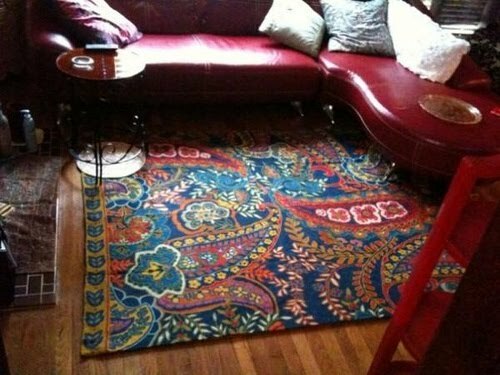 So you will pay to have a nice rug, but you won't ever regret it. 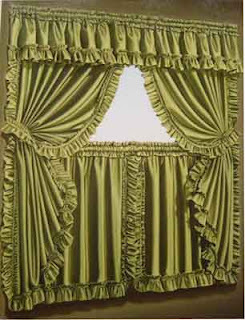 Curtains are ridiculously priced too. Those horrible green ones at the beginning of this post were EIGHTY DOLLARS! But don't worry! 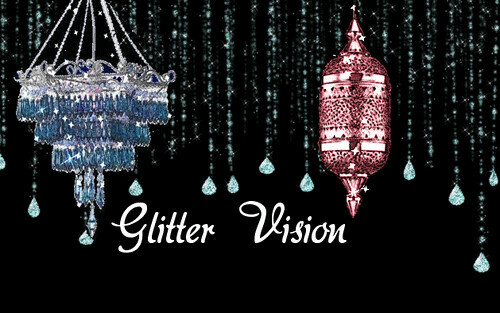 There is a place that will fill every dream you've ever had for beautiful curtains. It is called Wild Things, and don't be fooled by their tacky looking website! 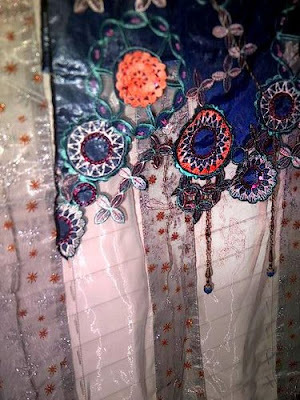 They have gorgeous curtains made of beads, glass, crystal, sparkly strings, viscose, chiffon. They even have burn out curtains from the fifties! I will put all these places in links for you. Please be patient, I'm having trouble with this layout and my computer. If I forget anything, feel free to ask. And I will be getting back to the little shack after pictures! 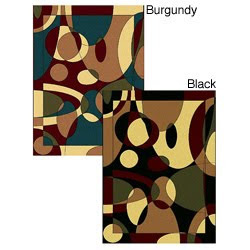 There are four, and only four places you will find the perfect rug. The first is Anthropologie. In fact you will find the best of everything there. Not to confuse you, but this is a picture of the home I'm living in now. 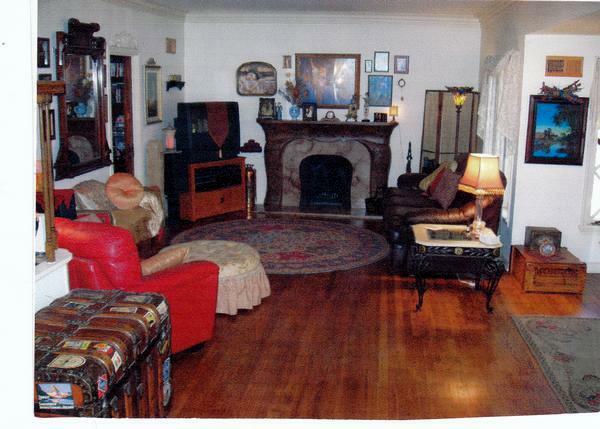 I only use photos from my own homes, and we will be looking at four homes in this blog. 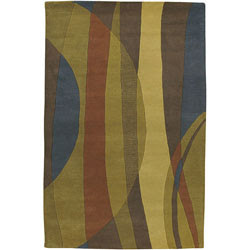 This is the rug I just got, and it way exceeded my expectations. It was $400.00, not including the 2 grips I bought for underneath it. Together those were $85.00. Of course, my Anthropologie rug can't compare to these stylish guitar rugs. This house had blinds, and usually, I instantly take all of the cheap hideous blinds down. But because this is Tucson, and it's very hot, I left them up. 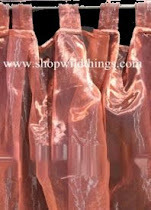 They are nice blinds of good quality, and they were custom sized. So, instead I hung stuff over them. I don't use a power drill, and have no idea how to hang curtain rods. But did you know they make heavy magnets that you can hang curtains with? They are white but I spray painted mine silver. Then, I threw up a blue light rope from Home Depot, and I never planned to leave it there. 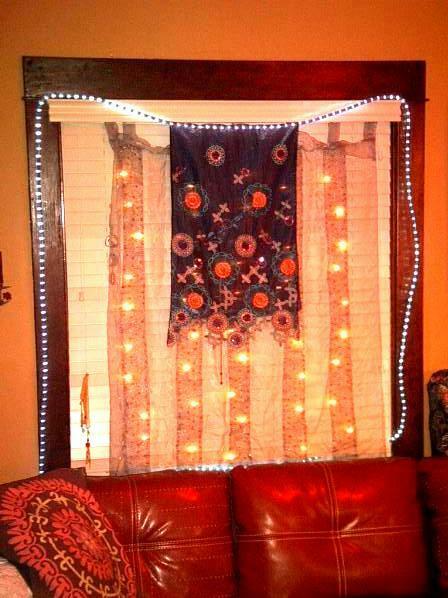 I had purchased a silver light curtain from a place online called "Christmas Lights, Etc." It was $25.00, and it has the twinkle lights built in. It doesn't look Christmasy at all! Then I was in this huge fabric store, and I found this blue thing for $5.00. I don't know what it's for, but I threw it over the rope light. 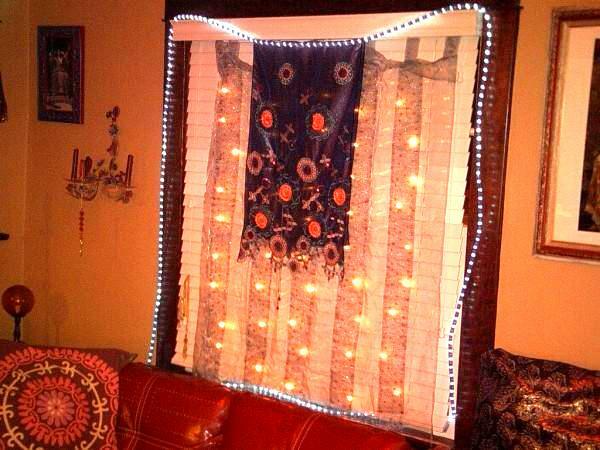 I used a tension rod from Walmart to hang the curtain light. It might be my favorite window ever.